TPV's (thermoplastic vulcanizates) have steadily gained popularity in many industrial sectors. It matches or outperforms traditional (thermoset) rubber in many applications, while offering many features unavailable for parts made out of traditional rubber. At the same time, TPV is superior in most ways to thermoplastics, especially PVC. 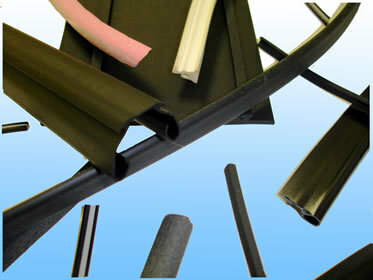 (Click here to learn more) Listed below are a few more features to consider when choosing between traditional rubber, PVC, and TPV extrusions.